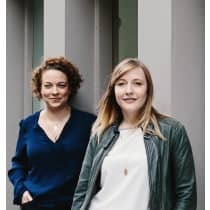 Friends Blaise and Anna founded Covet in 2007 after noticing a gap in the Edinburgh market for quality leather handbags different to those found on the high street and from luxury brands. They offer a curated selection of the best local and up-and-coming designers who produce high quality leather goods unavailable elsewhere in the city. Both artists, Covet have also launched their own collection, offering time-less design and high-end quality. "Customers are moving away from disposable fashion. There is more interest in where a product comes from as well as the story behind it. We wanted to create a social space for friends to meet, have a drink and browse our collections of lesser known designers and hand made products."